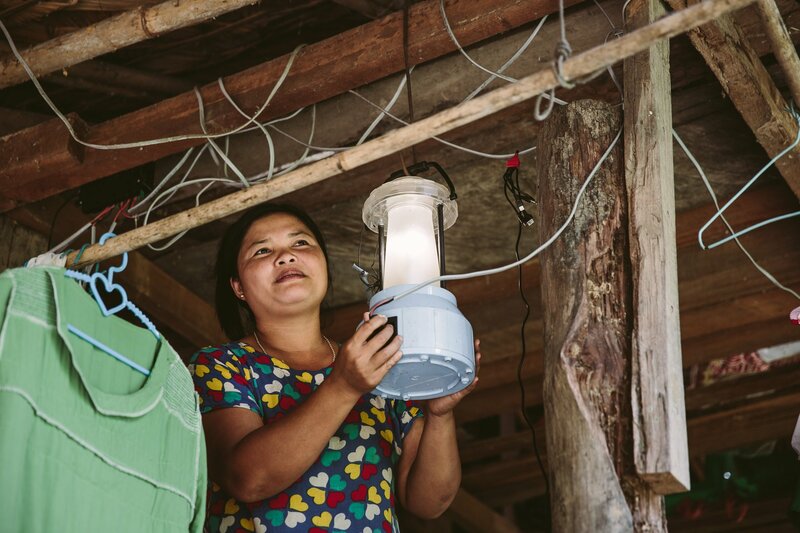 Around 43% of households in Myanmar don’t have access to electricity*. 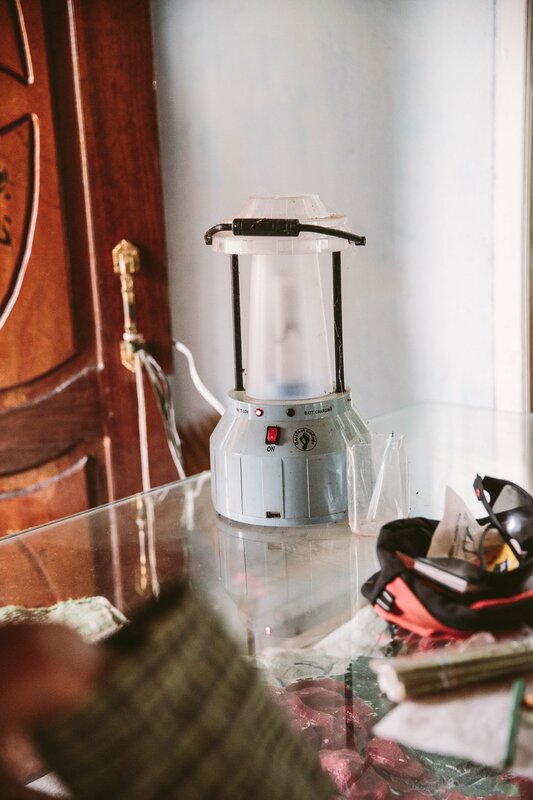 While these numbers of connected households are steadily rising since the end of the military rule, there’s still a long way to go for people to have power in their homes. 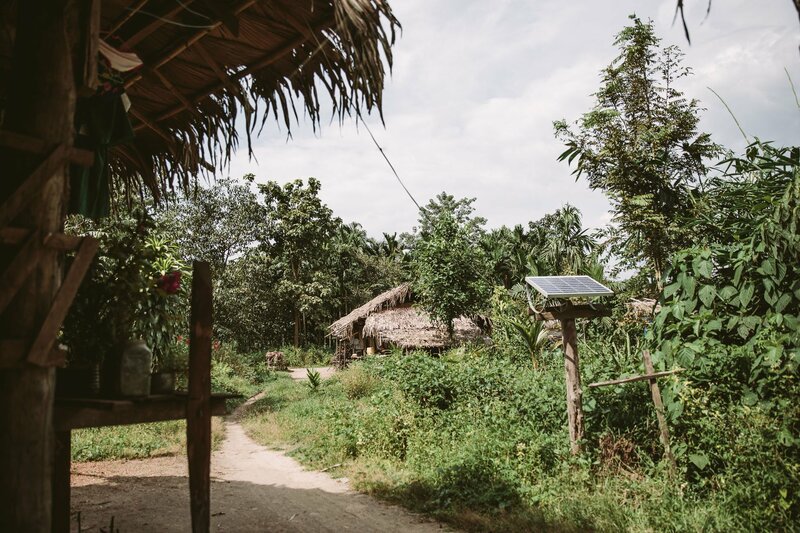 During my recent trip to Myanmar I’ve teamed up with WWF Austria and WWF Myanmar to visit remote villages in the South of the country, where Solar Sisters are being trained and empowered to bring electricity to their communities. But let’s start at the beginning! 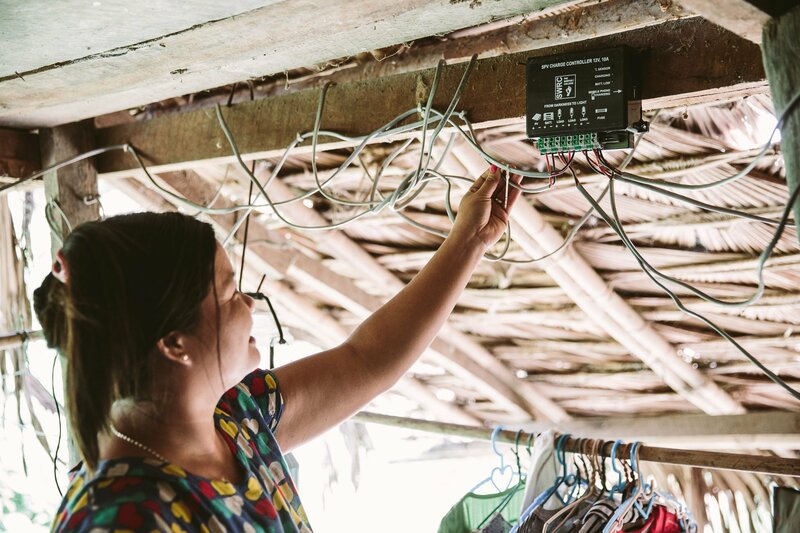 Solar sister Naw Phoe Dol shows us the setup in her home. 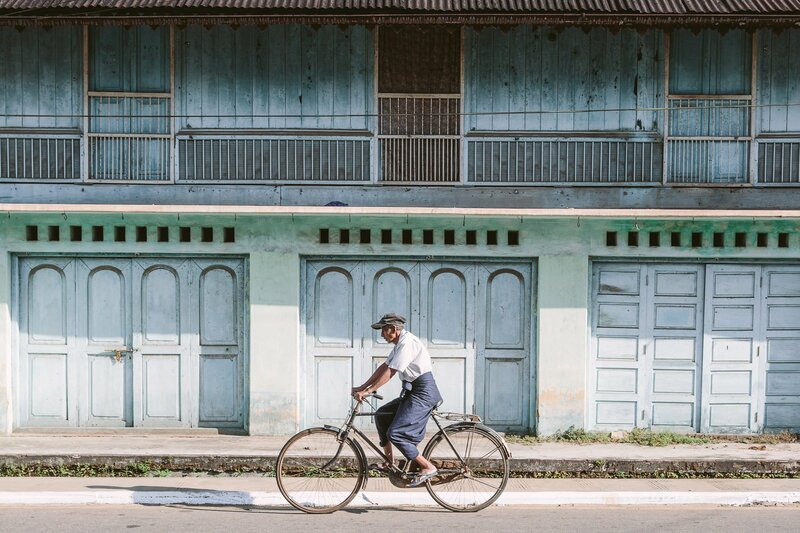 We start our journey in Dawei, the capital of the Tanintharyi Region in the South of Myanmar, which has lately found itself in the spotlight for quite a couple of questionable developments. 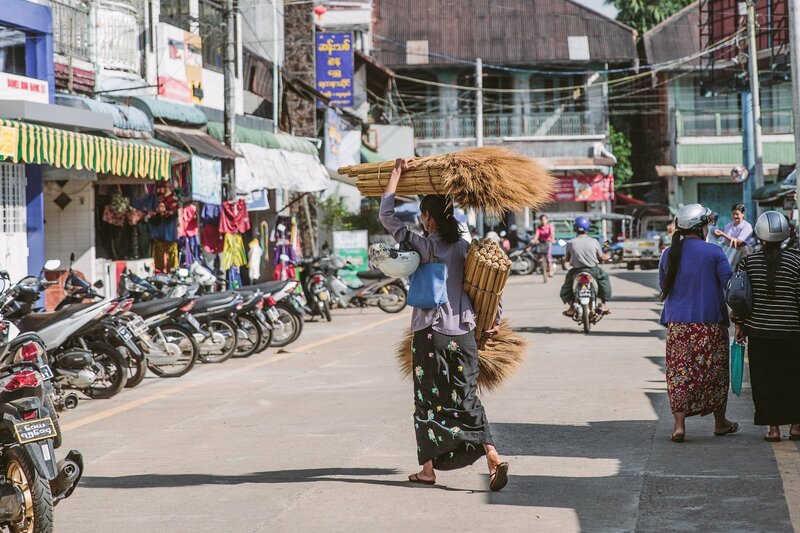 The government plans to transform the (nowadays) rather sleepy city at the northern bank of the Dawei River into one of the main trading ports of South East Asia. Therefore the government has declared Dawei a Special Economic Zone and started construction of a deep-sea port and a huge road from Thailand – right through one of the most important wildlife corridors, that remains in the region. 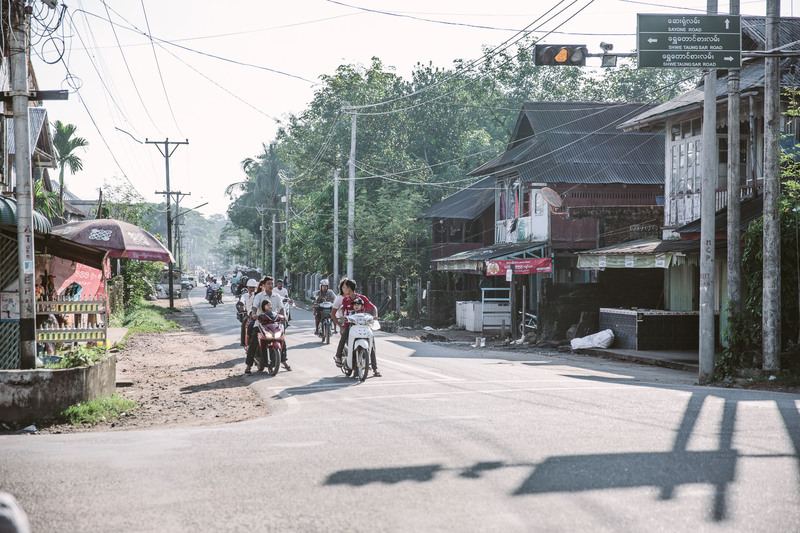 Dawei is still a sleepy town – but this is about to change! 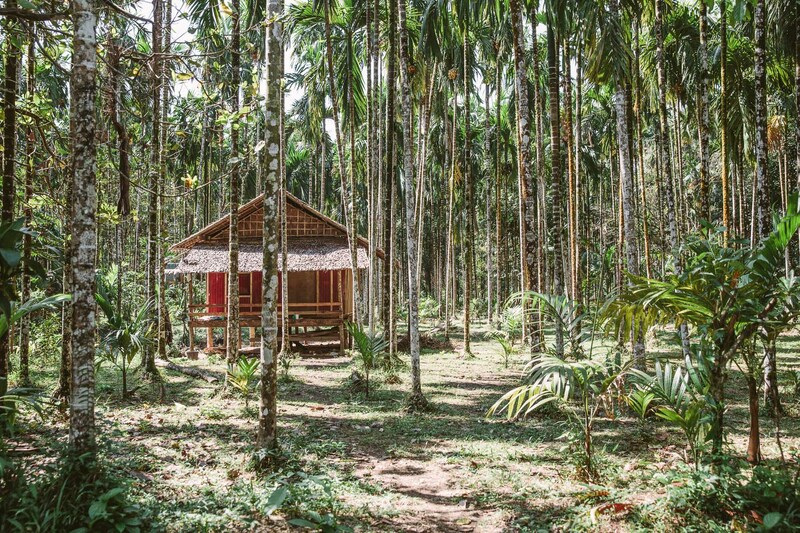 The so called Dawna Tenasserim landscape is home to about 200 of the last tigers in South East Asia – amongst other endangered wildlife from Asian elephants to the elusive Fea’s muntjac. There’s much more to be said and learned about the importance of this landscape, but we’re here to shine a light on the people who live here – in a fragile balance with nature and wildlife. 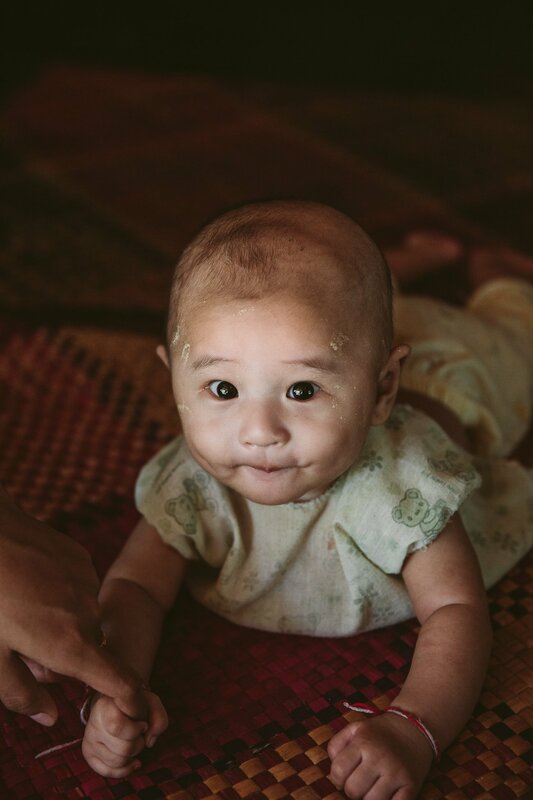 Most of the people in this region of Myanmar live their life as small-scale farmers. 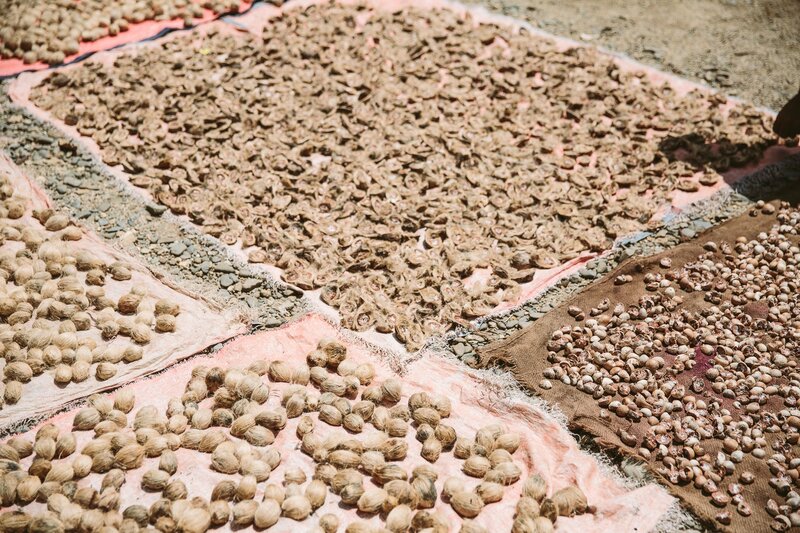 They feed their family by focussing on growing one specific crop and live from trading it locally. 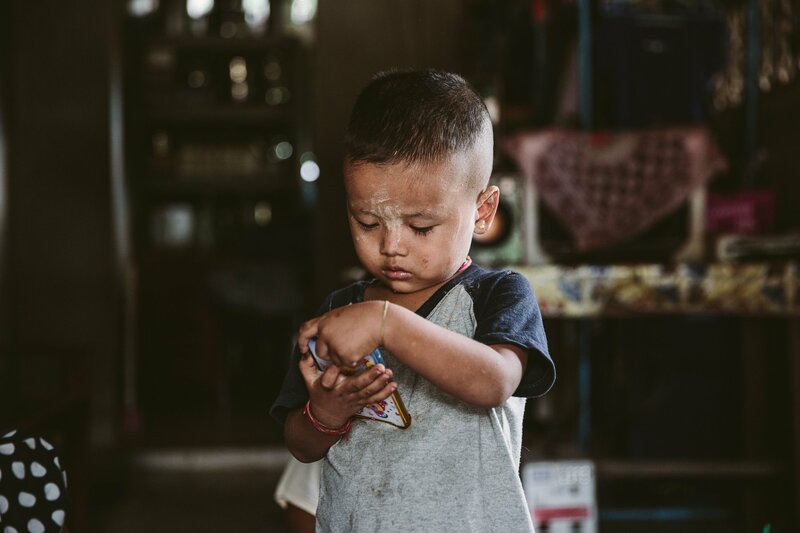 The families we met all traded betel nut, which is the main ingredient for one of the most common drugs used by people in Myanmar. Betel nut is chewed for it’s euphoria-inducing effects all over South East Asia and is highly addictive and also has carcinogenic side effects. 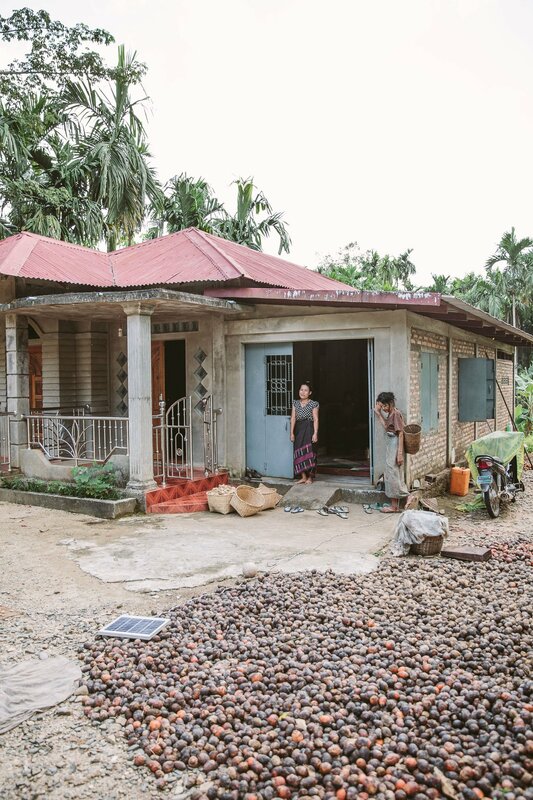 Betel nuts are out to dry and then sold to middle men. 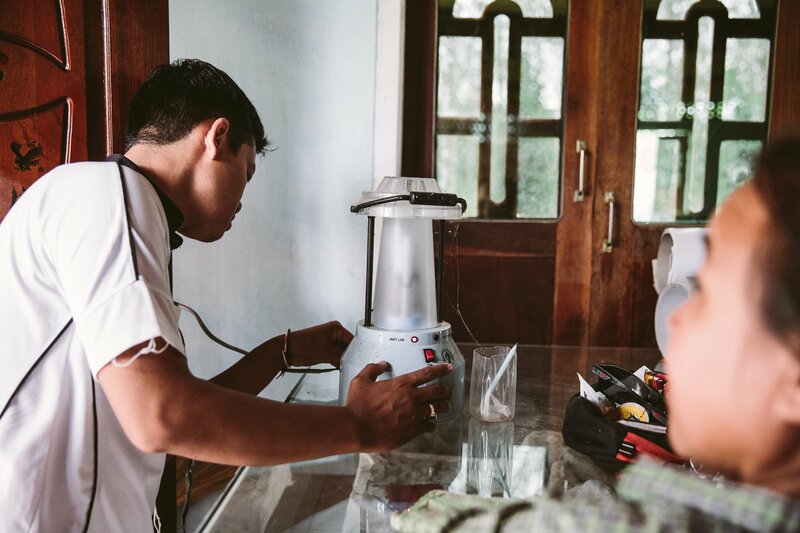 It’s an unsustainable business model and dangerous drug, but a huge part of people’s life Myanmar. 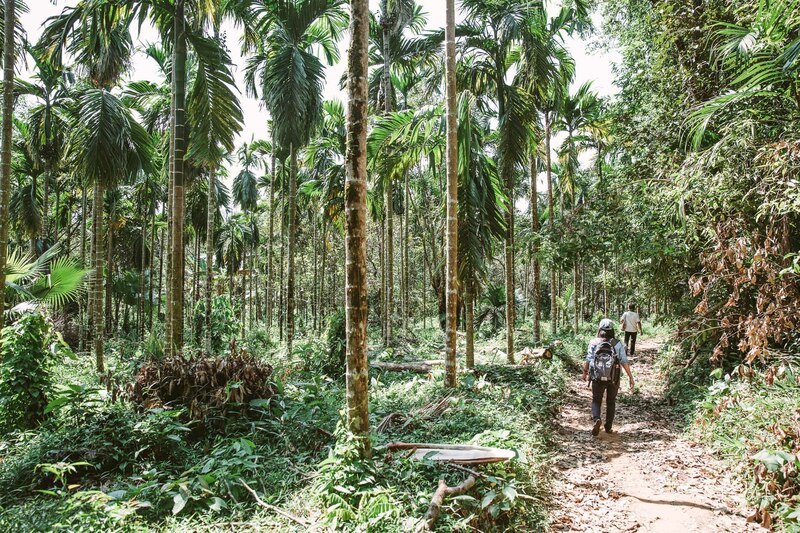 Aside from the negative health effects of betel nut chewing, the farming of the areca palms also isn’t a sustainable business model. The famers only create an income during the harvest period (in the dry season) and rely on credits given to them by the middle man during the rainy season. This way they are completely dependent on the money from the middle man and the result of the yearly harvest. 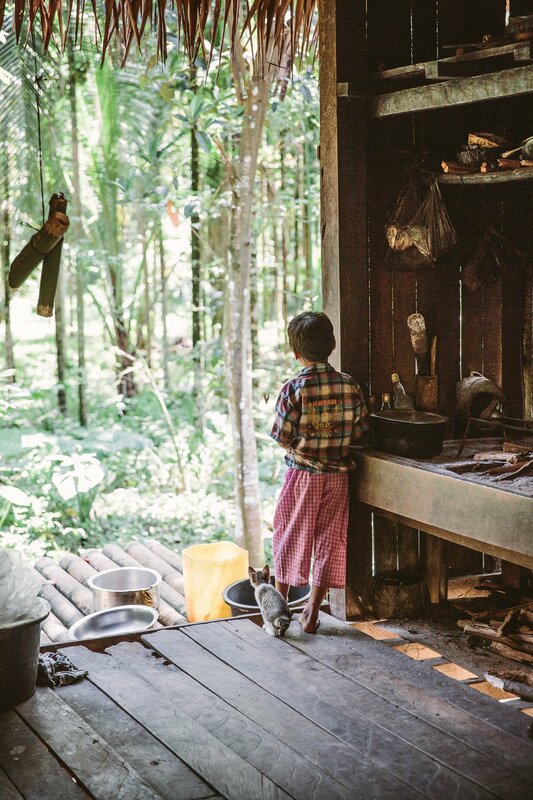 Hence access to education is critical to empower communities to make a living by other means than betel nut trading. 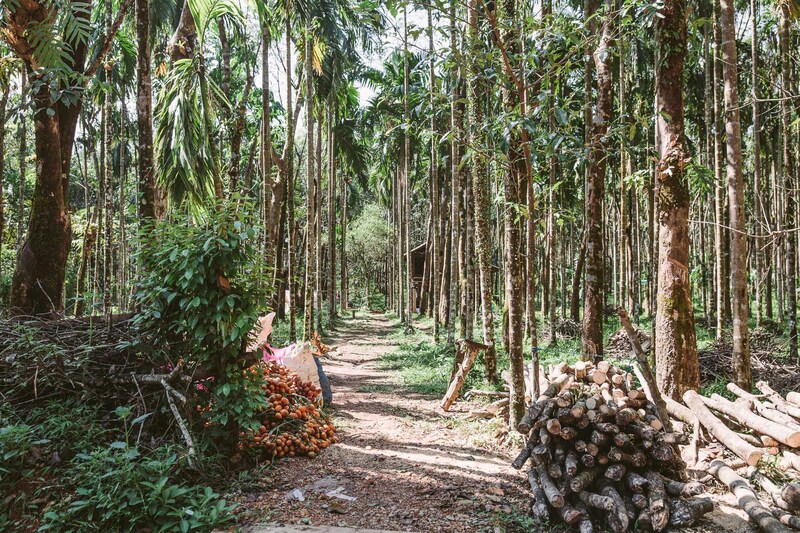 Huge parts of the original primary forest are transformed into betel nut farms in Myanmar. 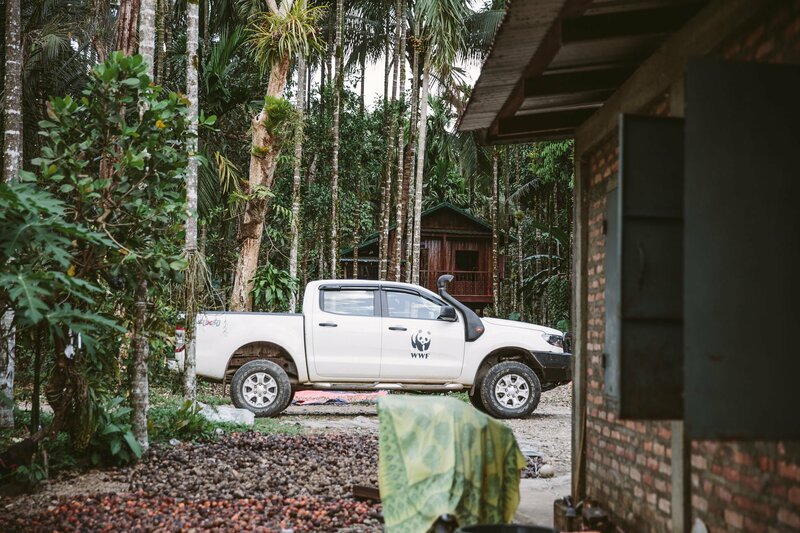 The WWF in Myanmar is working together with local communities on projects to find ways out of the vicious betel nut cycle. 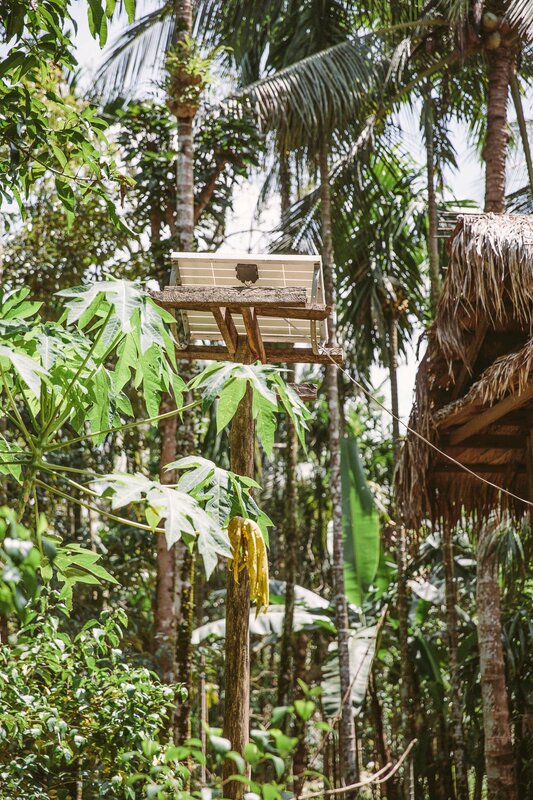 This includes the development of sustainable agriculture (they are conducting first field tests to produce organic cocoa) 0r developing structures to form local trading cooperatives to increase their negotiating powers. Yet, everything is tied to one main ingredient: Education. And this is where electricity comes into play. The WWF team is on it’s way to visit a Solar Sister in the Aung Lwin “village”. Gaining access to electricity has many positive side effects. At first it looks simple: The houses now have LED lamps and a USB outlet to charge a phone. But this is the gateway to much more! Now the kids can study even after the sun has set, they can communicate with teachers via the phone, they have access to information via small television sets, and so on. 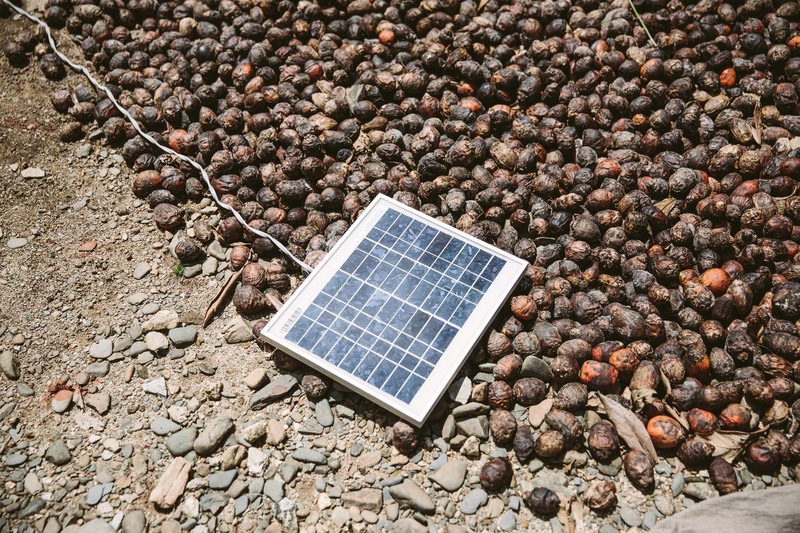 A small solar panel can charge phones and lamps in the houses of the Solar Sisters. It’s the first step in a long process of development, but an important one. And it doesn’t come easily! Let me tell you the story of 4 different Solar sisters, women who sacrificed a lot to gain access to electricity for their villages. 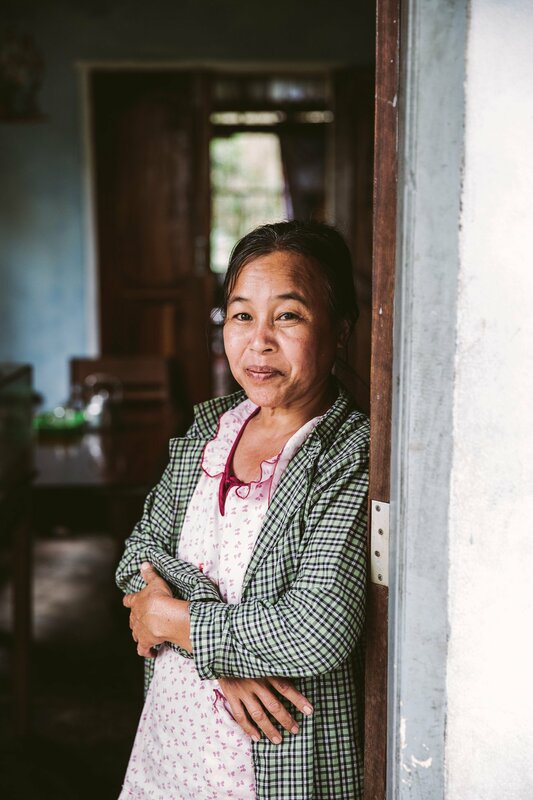 Naw Phoe Dol – one of the solar sisters – invited us to her home to chat about the project and her role! As you can imagine Naw Phoe Dol didn’t even have a passport before she became a solar sister, nor has she ever been away from her family. To become a solar sister she went to India for 6 months solar energy training! WWF supported her to get her first passport and to organise the trip. But in India she had a hard time coping with the language barrier and the local food – and especially not being able to stay in touch with her family. Now that she’s back home she says she doesn’t regret, that she went to India to become a solar sister. I learned that the solar sisters have to be volunteers in their communities and must be officially elected by the village council (or whatever voting system their village has). Upon asking the women they confirmed that they had volunteered to become solar sisters, but I’m not sure they really knew what it meant to be away for so long. Yet they all said they never regretted their decision to go to India for their villages to get access to electricity. 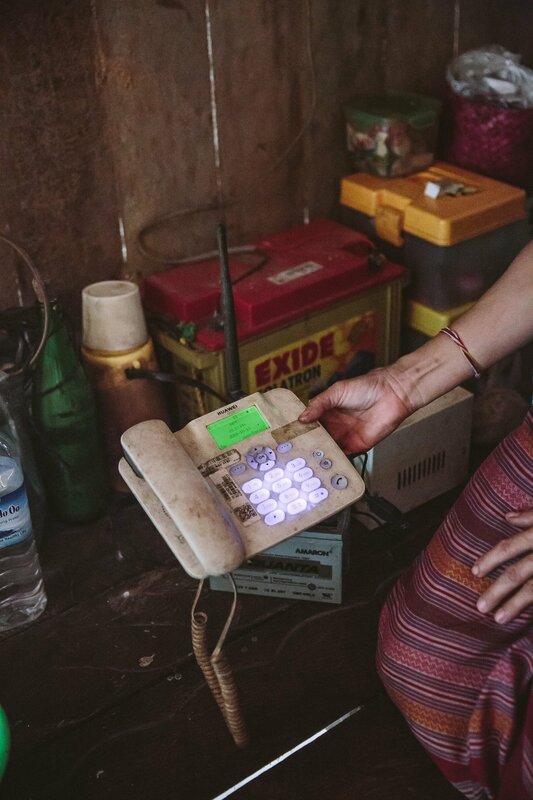 Apart from solar power there’s no chance for electricity in these remote villages in Myanmar. 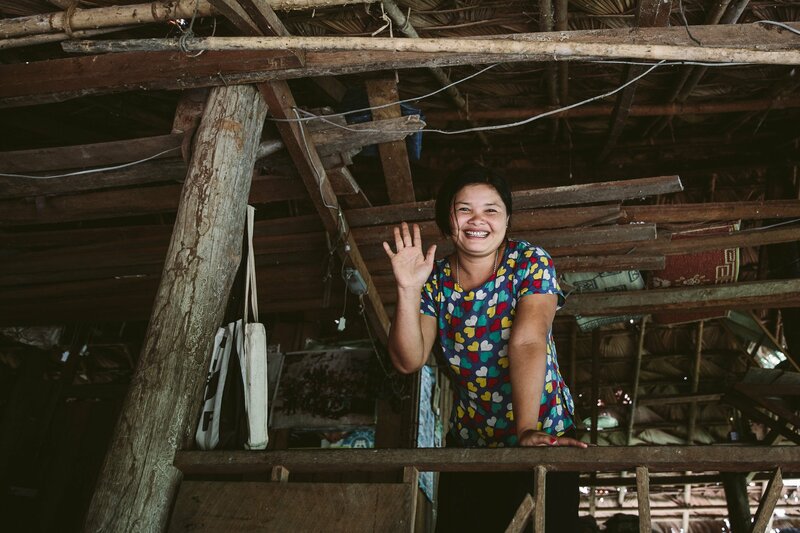 When Naw Phoe Dol returned after the long months of training she got the delivery of the solar panels and solar home systems and installed over 40 solar systems in her village. 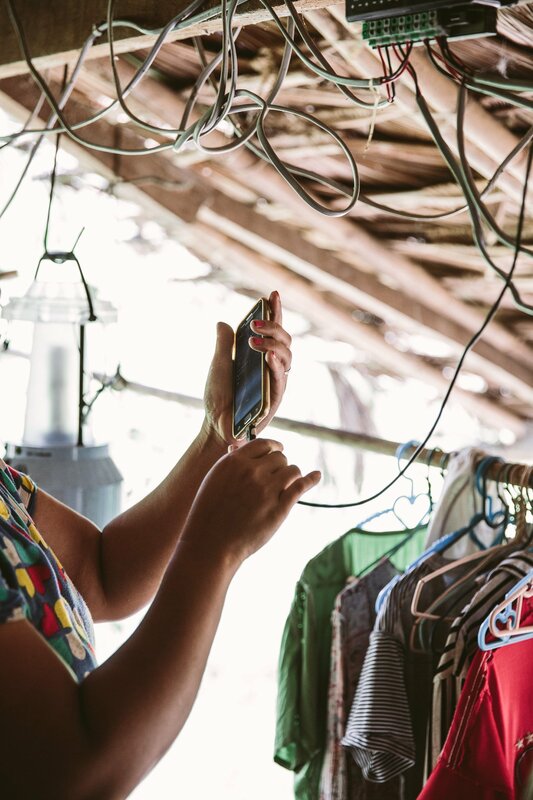 So not only her own home got connected, but she is responsible for around half of the households in her village – and now takes care of her community when it comes to repairs and technical questions. In a patriarchal society this empowers females to become more integral parts of their communities. Luckily the future solar sisters never have to travel to India alone. Naw Yae Aye – the second solar sister of the village – went to the training together with Naw Phoe Dol. Since then the two women are close as both share the role of “green energy officer” for their village – and the memories from India. 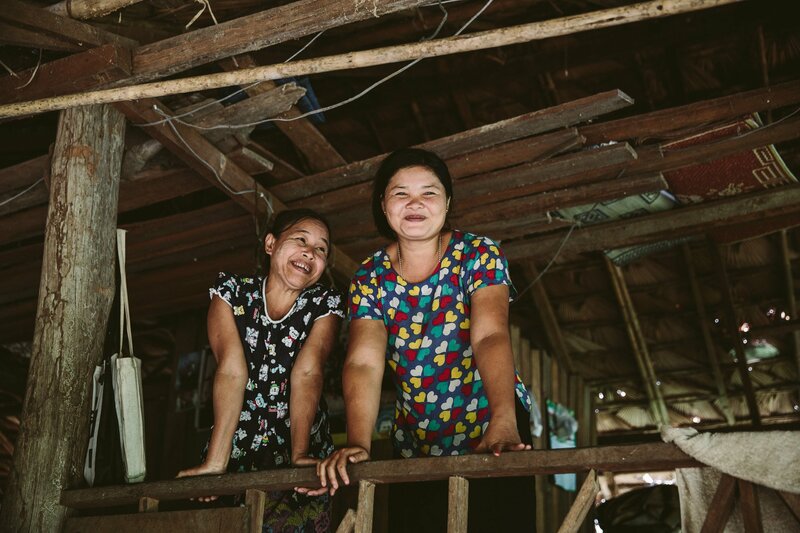 Naw Yae Aye and Naw Phoe Dol share their stories from India with a huge smile on their face. Naw Yae Aye left her 6 kids at home with her husband while getting the training in India. She told me that her husband actually cried a lot when she was away, but didn’t want to admit it. She only found out when she returned and asked her children how he had been while she was away. To be in touch with her he actually climbed a nearby mountain once every week to have phone signal and call Naw Yae Aye in India. Naw Yae Aye’s house has solar lamps, but also a huge 3D map of their village. On the map there are red and green zones – indicating what is farmland and what is primary forest which they have committed to protect. For me it was hard to hear some of these personal stories, especially since the results seemed so “small” for me at first. A couple of dim lights and a charger for a phone is what they got from sacrificing such a long time away from their families. Seeing kids getting access to smartphones might not be intuitively positive for us – but it actually is! But then I began to understand the hopes and opportunities that come with electrification of their villages. It’s like the small lamps have brightened their future in a way that is hard to anticipate and grasp for outsiders. But when the solar sisters started to describe what their wishes were for their children their faces lit up. Maybe the next generation won’t have to sell betel nuts. Maybe they can become teachers, doctors, nurses or even flight attendants. San Maw is the only solar sister with a bit of a different story. She only has one daughter and even got divorced from her husband, whose alcohol problems caused the marriage to crumble. This is rather revolutionary in Myanmar. Only 3% of marriages are divorced in Myanmar. Mostly because women are dependant from the men, their income and farmland. 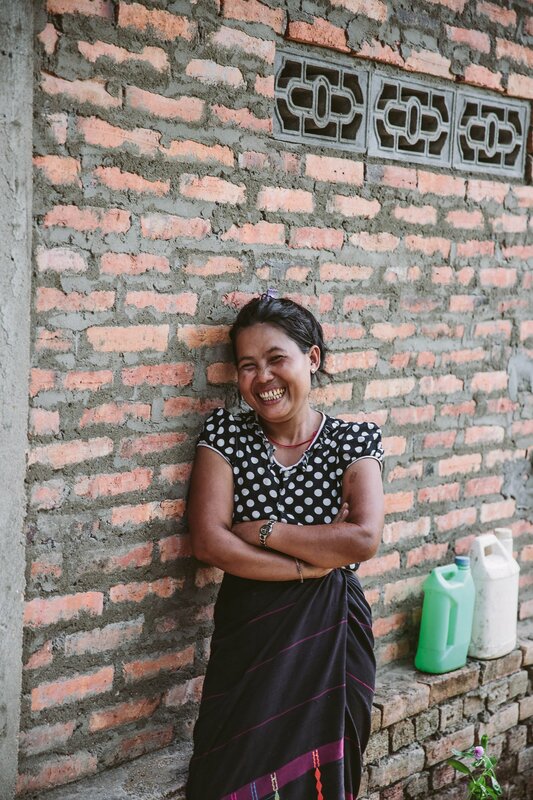 San Maw lives in a more solid house – with proper brick walls – together with her brother and mother. Solar power is still the only energy source here. 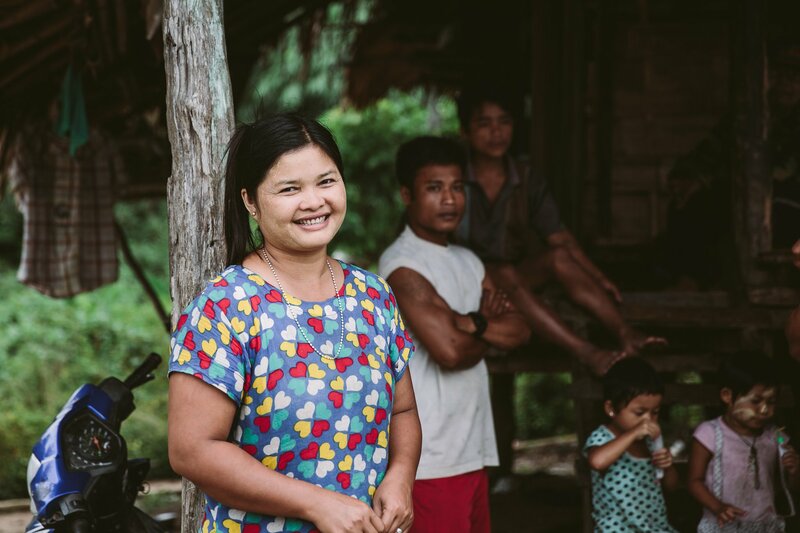 Now San Maw isn’t just a solar sister, she is also kind of a rebel – showing that women indeed can become independent from their husbands. 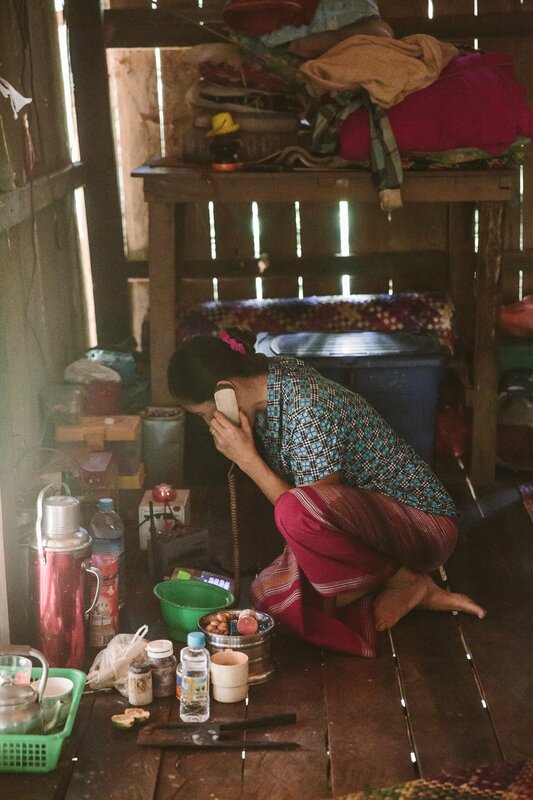 And she is teaching this to her daughter as well – who had left the village to study in Yangon. Today her daughter is dreaming of becoming a flight attendant. Inspired by that time her mother took a plane to India. San Maw wants her daughter to become a flight attendant one day! It’s like a seed has been planted by empowering a couple of women – and this seed is now growing and spreading. 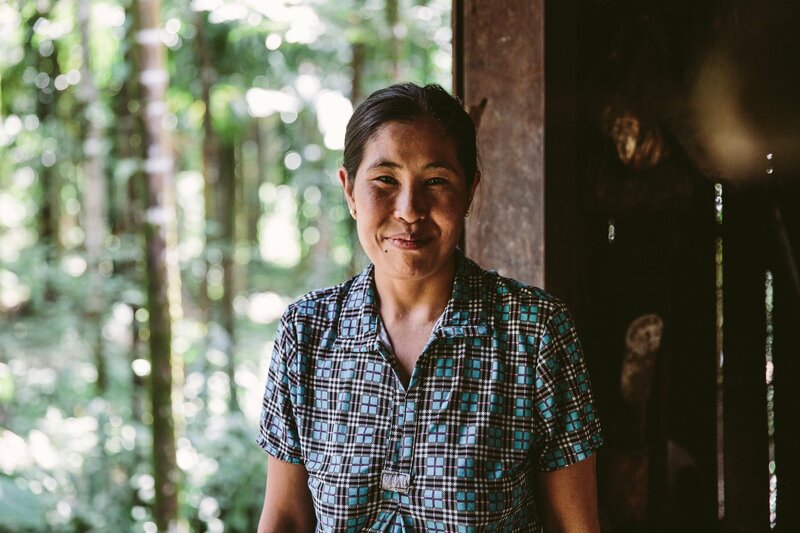 When we meet Cho Aye in her house in the middle of the jungle we get a sense for how big a small change can be. 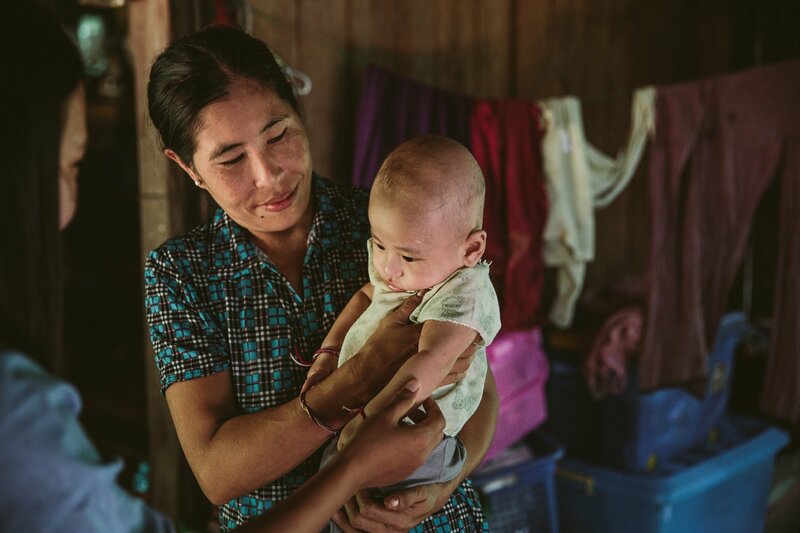 While the betel nuts dry outside she takes care of her 3 month old baby boy inside the house. Cho Aye and her 3 month old son – he’s #7 in her lineage of kids! Her small boy might not have to follow in the foot steps of his father, who is out in the palm fields taking care of the crops. 4 of the 7 children of Cho Aye have already left the village to either work in Thailand or study in monastic school in Dawei. 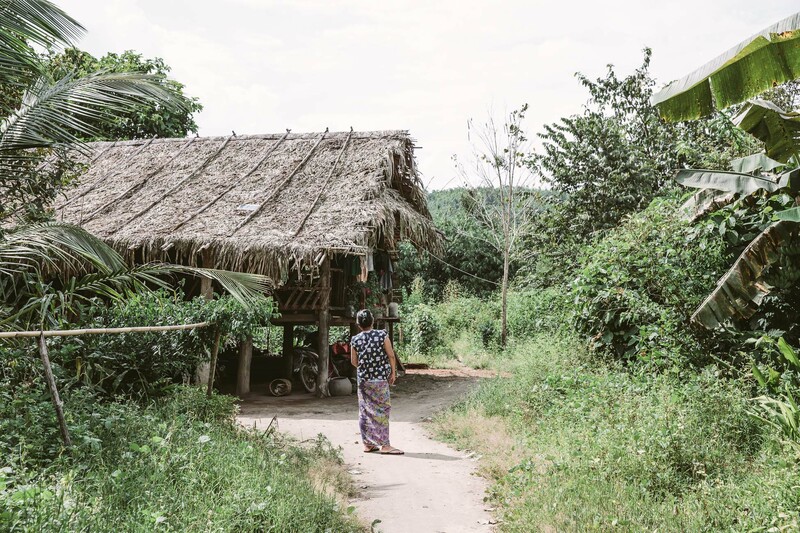 Cho Aye lives here with 3 of her 7 kids – the other 4 have left to either study or earn money. 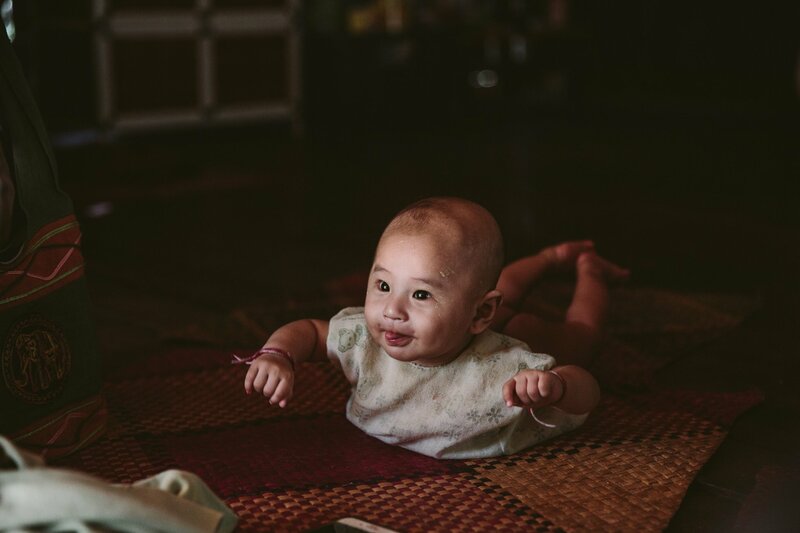 Slowly the younger generation is leaving the villages to go to places with better chances for work and education – so either to neighbouring Thailand or to the cities in Myanmar. 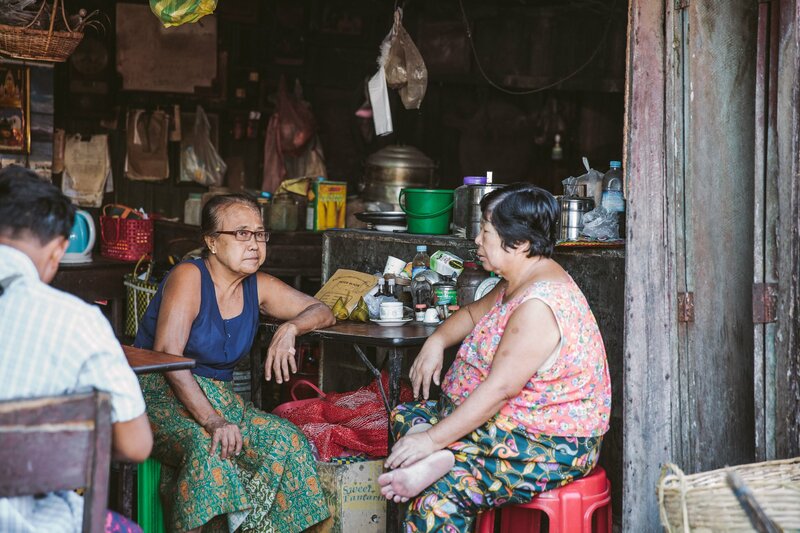 They leave behind the older generation in the rural areas, who often rely on their support to send back money. These kids might not have to work as betel nut farmers in the future. So where will this development lead? Will Myanmar’s population shift and move to the major cities? Will nature be able to reclaim farmland and return to it’s original state? Or will the further industrialisation of the country destroy what’s left of the primary forests and jungles? And what other problems will occur during this process? Small steps like sending some incredible women out to become solar sisters can have wide reaching impact. 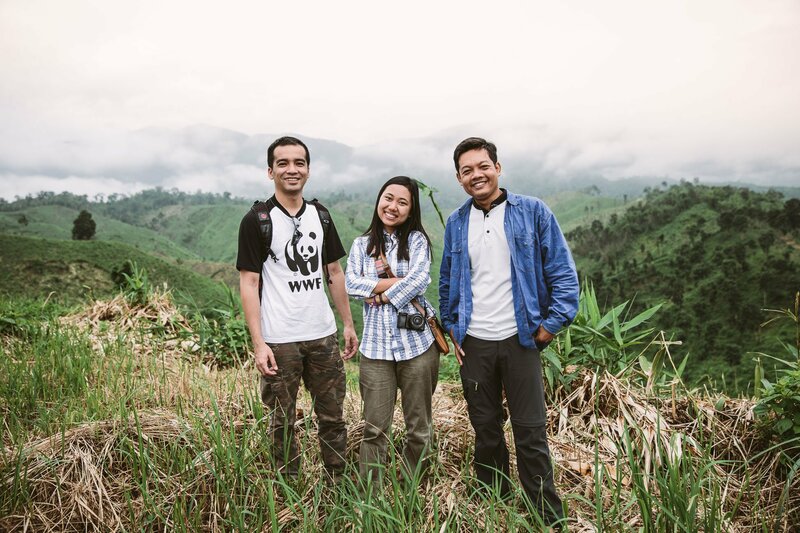 The WWF team from Dawei and Yangon are responsible for the Green Energy projects in the region! 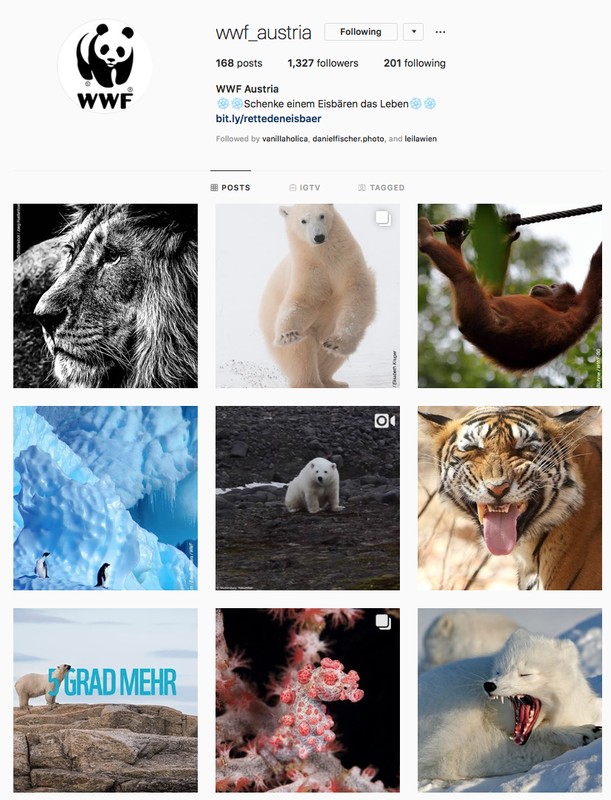 You can support the WWF Austria by following them on Instagram and learning more about their projects and efforts around the globe! Disclaimer: WWF Austria and WWF Myanmar have supported me during this trip by bringing me out to the solar sister villages and getting the government permits for me to visit the area. Regular tourist visits are not allowed in this part of Myanmar. I have not been paid to promote this project nor am I tied to WWF in any other way. The opinions in this article are my own.